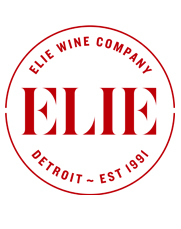 Thursday, February 25th, 5:30-7, Elie Wine Co. will be pouring the wines of I Collazzi with Cellarmaster Alberto Torelli. We will be tasting the Chianti Classico “I Bastioni”, Merlot-based “Libertà”, a Bordeaux-blend Super-Tuscan “Collazzi”, and the white wine “Otto Murri” made from 100% Fiano grape variety. Born in Florence in 1981, he followed in his ancestor’s footsteps by studying winemaking and viticuture at the University of Agriculture in Florence before beginning his career in the Chianti area. After a chance meeting with Lamberto Frescobaldi, the distinguished Tuscan winemaker that was charged with modernizing Collazzi’s cellars and revitalizing the vineyards, Alberto was hired to head up the estate. Since 2005, he has made the estate’s wine, managed its vineyards, and even oversees the historic Collazzi villa that was originally designed by Michelangelo in 1560. The microclimate of Collazzi’s vineyards are generally warmer and drier than the surrounding area. Part of the estate lies in a natural amphitheater, with an ideal south-westerly exposure. The high amount of sunlight and the high daily temperature allows a complete ripening of the fruit in all vintages. Prime terroir that produces fruit of exceptional quality and concentration coupled with passionate winemaking results in wines of elegance and aromatic complexity.